← THE HOGMAG EDDY CURRENT SEPARATOR – METAL RECOVERY WITH EASE! Ecohog Ltd is pleased to announce partnership with reputable Eriez Europe for the supply of Eddy Current Separator units which are incorporated in the Ecohog HogMag mobile unit. Like Ecohog, Eriez are renowned for providing quality products on a global scale. 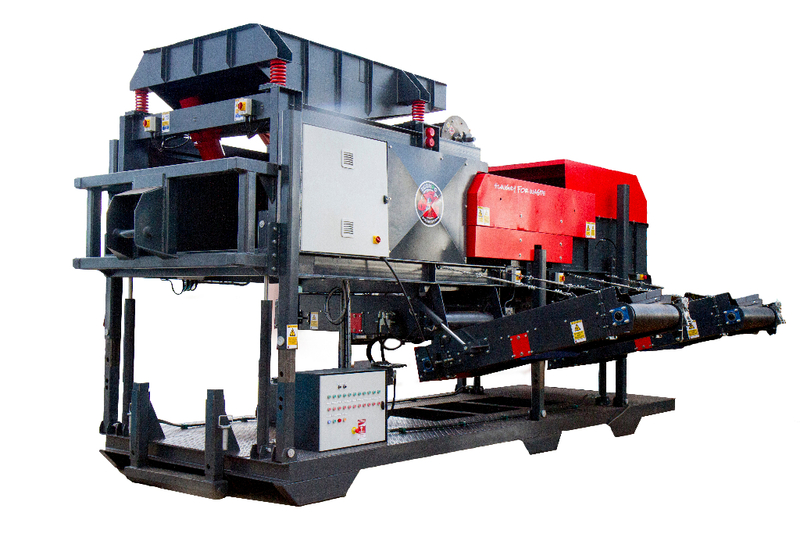 Ecohog Ltd is working in collaboration with Eriez Europe to provide the recycling industry with a quality mobile unit integrating a vibrating feeder pan, magnetic drum and the Rev X-E Eddy Current Separator. The unique Ecohog HogMag is designed to achieve the highest quality separation of ferrous and nonferrous metals from residual fractions, making the HogMag the ideal solution for metal recovery. For more information on the how the HogMag can help recover valuable products, call Ecohog Ltd today on 02880761295, or alternatively email info@ecohogwindshifters.com. Please feel free to browse our website for further information on our product range.